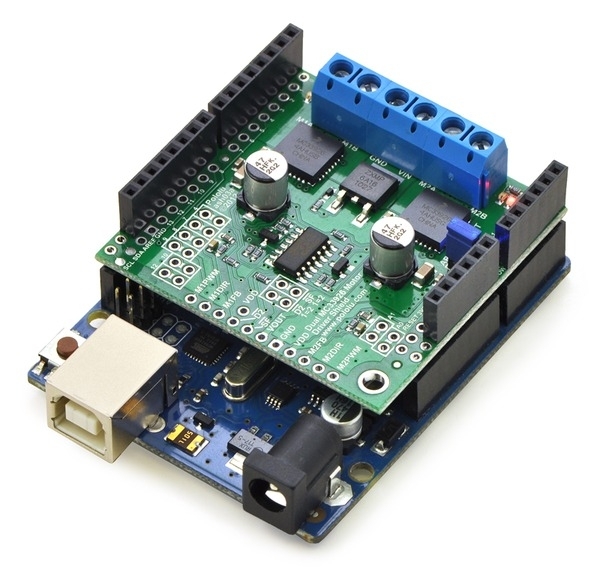 This motor driver shield and its corresponding Arduino library make it easy to control two bidirectional, brushed DC motors with an Arduino or Arduino clone. 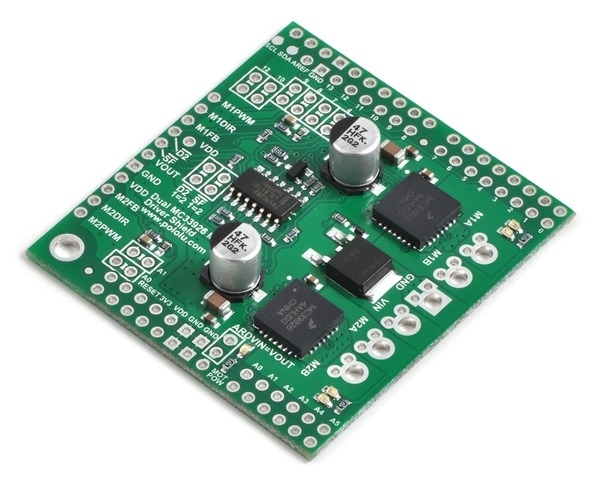 The board features a pair of Freescale MC33926 motor drivers, which operate from 5 to 28 V and can deliver a continuous 3 A per channel, and includes current sense circuitry, protection resistors, a FET for reverse battery protection, and logic gates to reduce the required number of I/O pins. It ships fully populated with its SMD components, including the two MC33926 ICs, as shown in the picture to the right; stackable Arduino headers and terminal blocks for connecting motors and motor power are included but are not soldered in (see the Included Hardware section below). with an Arduino (shield and Arduino powered separately). 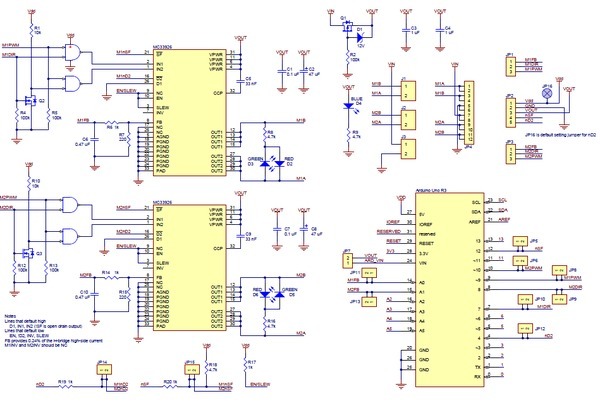 with a microcontroller (gray connections are optional). 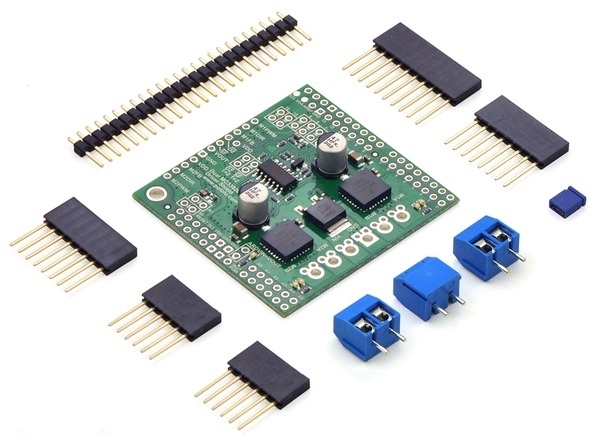 For a higher-power alternative to this shield, please consider the Pololu dual VNH5019 motor driver shield, which can deliver a continuous 12 A per channel. 1. 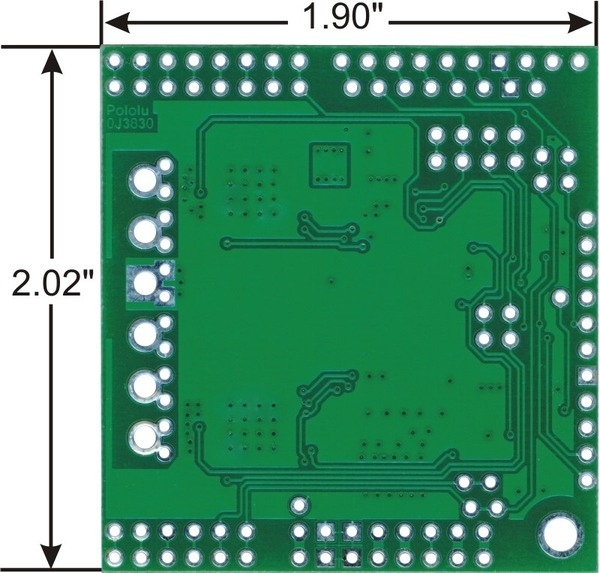 The board supports transient (< 500 ms) operation up to 40V. Operation from 5-8 V reduces maximum continuous output current (driver performance is derated in this range). 2. Internal peak-current limiting gracefully reduces the output power at load currents above 6.5 A ± 1.5 A. 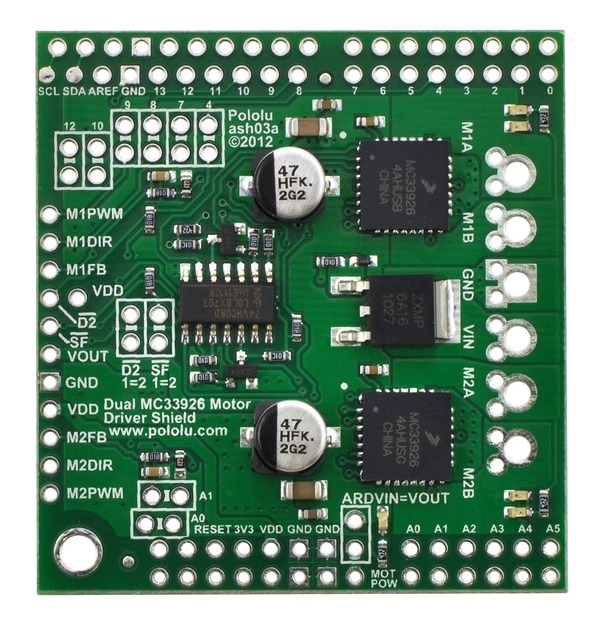 See the MC33926 datasheet (1MB pdf) for more information. 3. There is no reverse-voltage protection on the logic supply. 2.Operation from 5 - 8 V reduces maximum current output. 3.The device is protected for transients up to 40 V.
4.Can be improved by addition of heat sink or forced air flow. 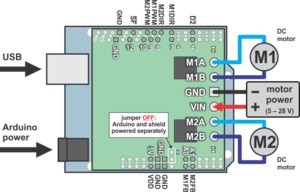 5.On motor voltage only; logic voltage does not have reverse protection.